Lake George, the largest in the Adirondacks region north east of New York state and initially called Lac du Sant Sacrament by the Jesuits, became a tourist attraction following the arrival of the railway in the 1850s. Apart from a beauty spot, it was a place imbued with historical associations and nostalgia, as it had been the scene of several military campaigns during the French and Indian War (1755‒63) and during the American Revolution (1775‒81). 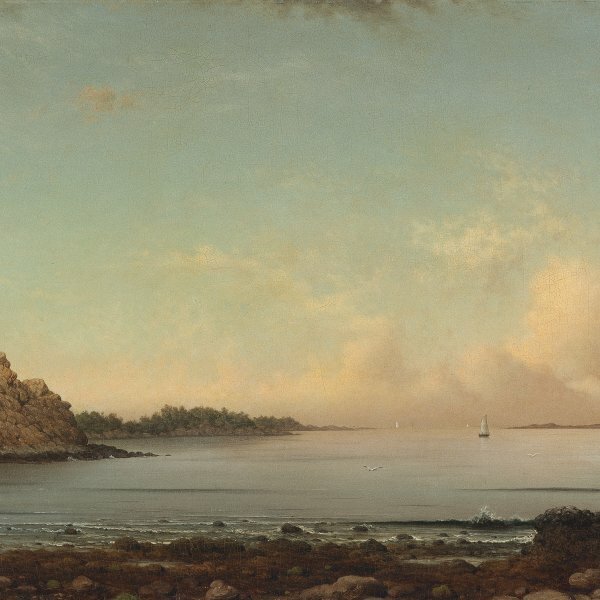 Thomas Jefferson recalled its clearness and stated that it was “without comparison the most beautiful water I ever saw”; James Fenimore Cooper made it the setting for The Last of the Mohicans (1826); and it was also one of the favourite subjects of the Hudson River artists. 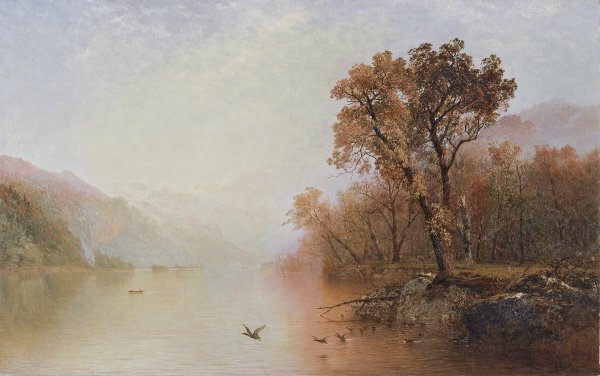 Located close to the Niagara Falls, the White Mountains and the Hudson itself, the placid waters of Lake George, surrounded by mountains, were a perfect motif for portraying sublime, wild nature.